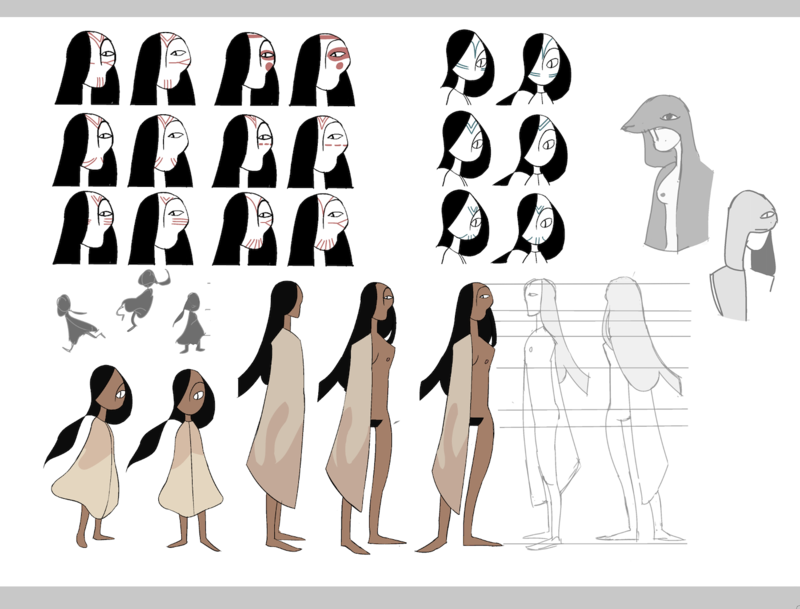 Tara sent me the designs for the two characters and they look awesome! When I started this project I had envisioned it being about these two sisters of similar age, one who was stereotypically beautiful and the other who was this kinda of brute looking girl who then needs to go out and save her sister…but there was always something a little meh, about that whole idea. Then two things happened I saw Tara’s (@seaohso ) drawing of her Dragon Age character and I saw this animator’s work where she was testing jump cycles on a character. 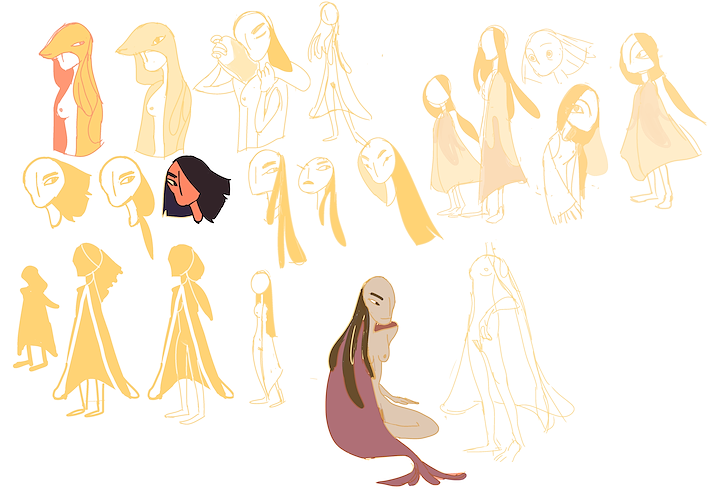 This character totally changed my idea for the game, becuase it was a woman with a cloak and no other clothes but she wasn’t sexualized at all. Suddenly, I realized I wanted unsexy naked ladies running around and Tara just jumped on the idea. I didn’t give her a lot of information on what the two girls should look like, I wanted her artistic vision to inform their design. All I said was their was an older one who was strong and a younger one who could climb high. I had never considered having the younger sister be a little sister, but I liked it, a lot, so we went in that direction leading us to the initial human character designs in the top picture. 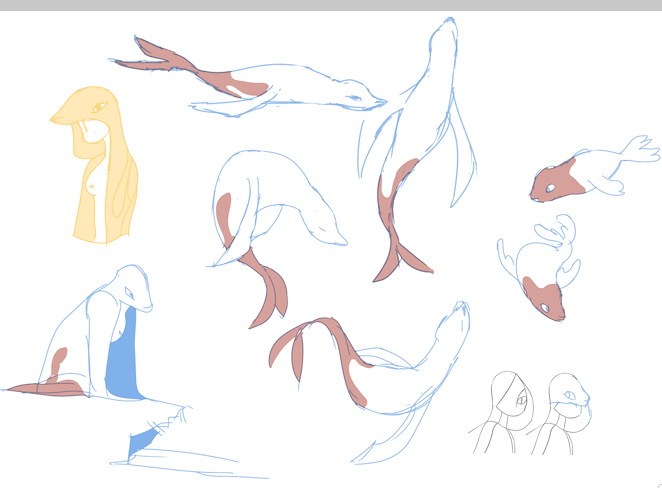 The third is a sketch of possible seal-forms, but I think the older sister’s design will be changing soon.